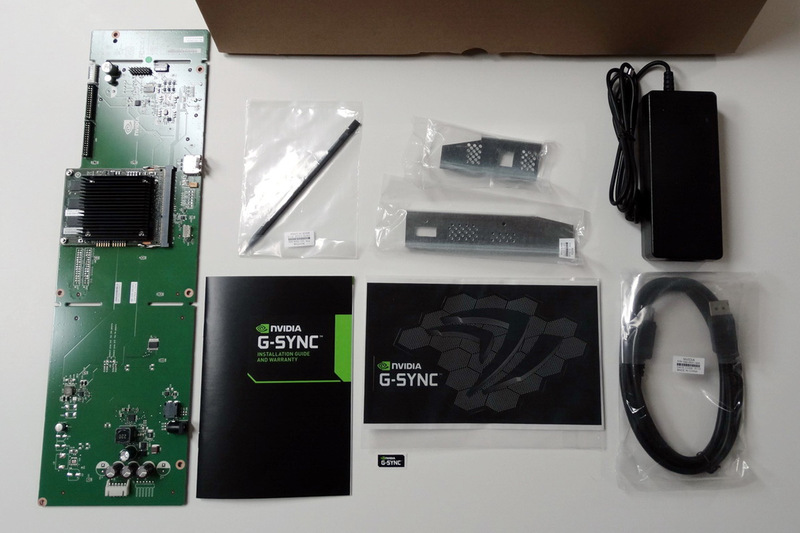 Just a few days ago I was talking about Nvidia’s G-SYNC technology and the fact that the early DIY upgrade modules are still not widely available, not to mention that there was also not a lot of information regarding the first wave of monitors that are supposed to come out with G-SYNC support built-in. Well, in the Nvidia CES Press Event the company has revealed a bit more information about the G-SYNC tech, namely the Q2 availability from Acer, AOC, ASUS, BEnQ, Philps and ViewSonic. 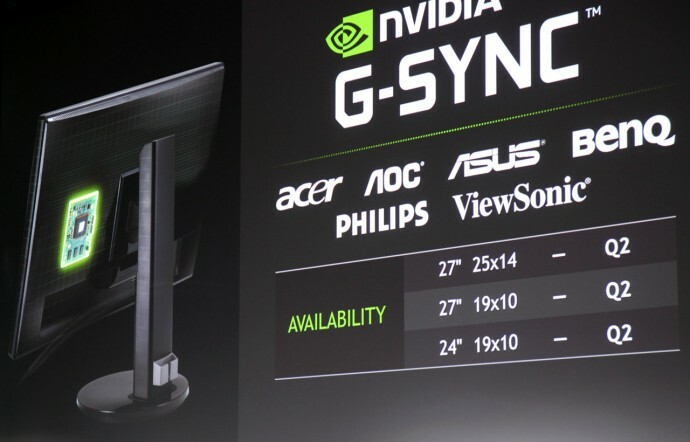 And on the slide that Nvidia’s CEO Jen-Hsun Huang has shown you can also see that we are getting not only 24″ and 27″ displays with 1080p resolution that will support G-SYNC, but there will be also 27-inch models with 2560×1440 resolution. 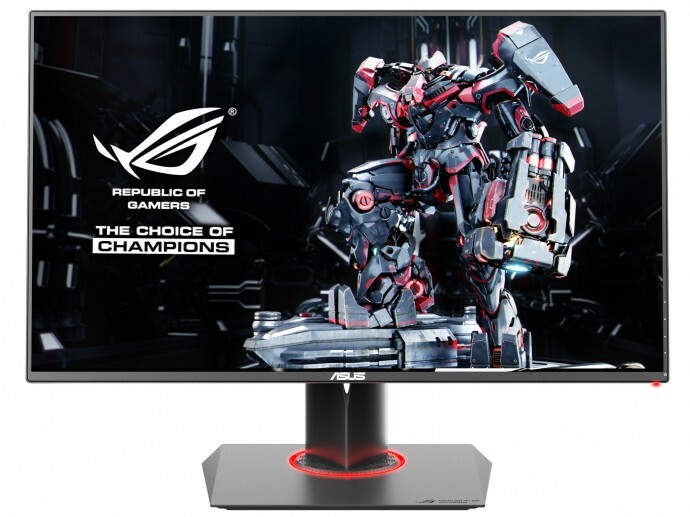 There is no hint however if these higher resolution models will feature higher refresh rate than 60Hz or if there will be 3D Vision support, in fact there was nothing about 3D Vision mentioned along with the G-SYNC talk in the press event, though the G-SYNC part was not the main focus either. We already know that Nvidia’s G-SYNC technology is compatible with 3D Vision, but the two technologies can be available and work separately as well, so there is no guarantee that we are going to see higher resolution displays with stereoscopic 3D support coming with G-SYNC support as well. 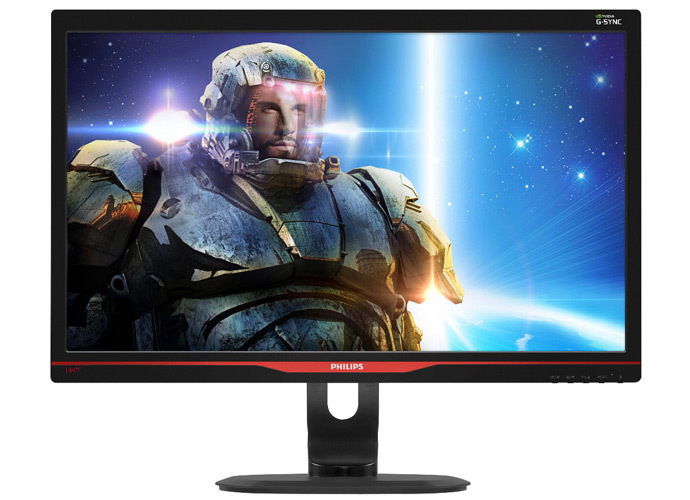 The same goes for 120Hz or 144Hz refresh rate on displays with resolution higher than Full HD that, even though the Display Port interface used for G-SYNC is already capable of supporting this, so we’ll have to wait and see when display manufacturers start announcing their new products with G-SYNC technology later this year.